Doha Technical Lab, Doha is recommended for ISO/IEC 17025 for their testing laboratory for more than 160 parameters in the areas of aggregate, asphalt, cement, concrete, road marking, geo technical, soil, steel, chemical parameters, water testing etc., with the help of Global Manager Group on 25th November, 2011 by IAS, USA. Global Manager Group provided complete guidance in implementation of quality system in testing laboratory, documentation and internal auditing as per requirement of ISO 17025 Laboratory Management Standard for their 160 parameters. The team of auditors came fromCanada andEgypt has evaluated their system and recommended them for ISO 17025 on 25th November 2011. Doha Technical Lab is the 1st lab in Doha, having highest parameters in their ISO/IEC 17025 scope. Global manager group consultants have started this consultancy project on ISO/IEC 17025 for the testing laboratory of Doha Technical Lab in May 2011. Various technical training programs like Uncertainty measurement, method validation, instrument calibration, internal auditing, ISO 17025 documentation etc was provided to the employees of Doha Technical Lab. 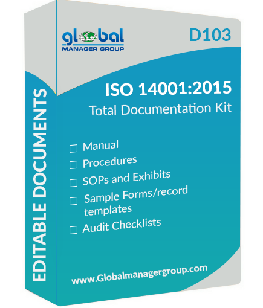 Also our team has helped in total documentation as per ISO/IEC 17025 standard including manual, procedures, Sops, formats, exhibits, calibration methods, iso 17025 audit checklists etc. All the staff from all departments was trained and best quality system implemented as per ISO/IEC 17025. After successfully implementation of quality system in testing laboratory, Doha Technical Lab recommended for ISO 17025 with certifying bodyIAS,USA.